Once OVF file is imported , I have configured the IP/Subnet/DNS/Firewall in the initial setup and left hostname as default and later by login to the webclient , configured the hostname and connected the VC to the AD domain , after rebooting the VC , found the AD name instead of DNS IP in the DNS entry. Manually i modified the same with appropriate DNS ip and rebooted the appliance but still found the domain name on the DNS entry. After searching to fix the issue found it is the bug in Vcenter appliance 5.1 and also in 5.5. Help of the below KB article I deleted the VM and re-imported the OVF and configured again with the exact Hostname of the appliance with the IP,Subnet\DNS freshly during the initial stage of installation itself and rebooted the VC to check the entry and it fixed the issue.. 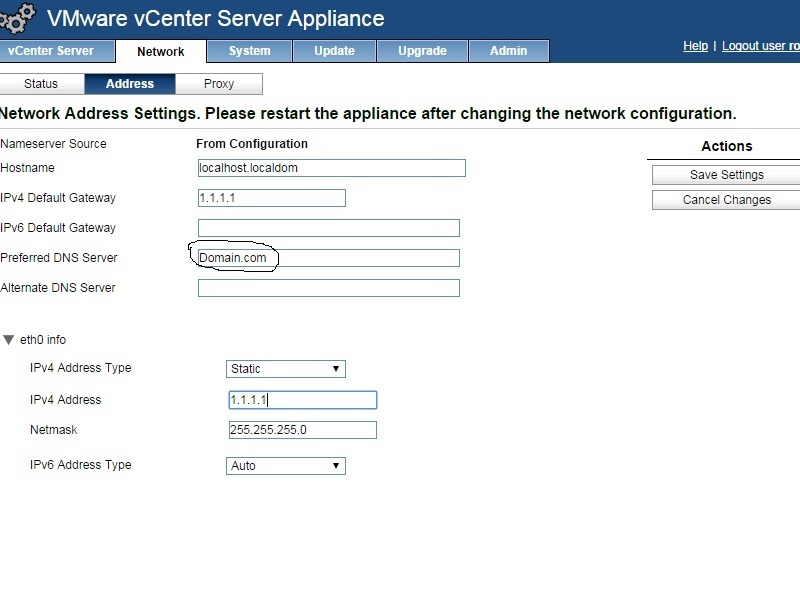 This entry was posted in Vcenter Appliance, VMware and tagged Vcenter Appliance Issue, VCSA, vCSA DNS Issue. Bookmark the permalink.